Democratic gubernatorial candidate Stacey Abrams could make history this year, potentially becoming the first black female governor in the United States. Abrams is just one among the thousands of women running for office this year. In fact, 2018 has been dubbed the “Year Of The Woman” because of the record number of women running for office this election cycle. Grady Newsource reporter Caroline Elliott spoke with a number of female candidates in Georgia, including Abrams and House District 117 Representative Deborah Gonzalez. 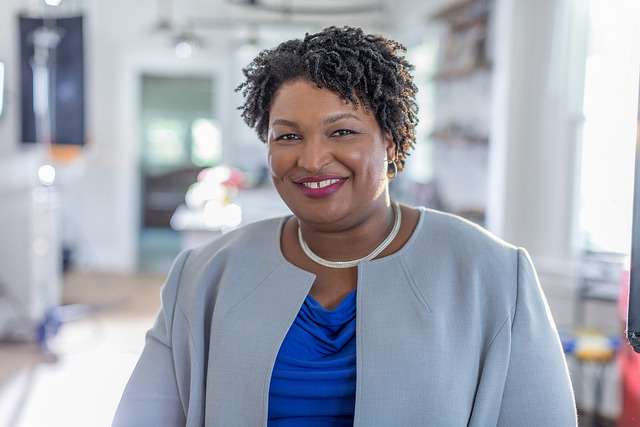 “I think the 2016 election put into sharp relief how important it is for every vote to count,” Abrams said. Nearly two years after President Trump’s inauguration, more women all around the country are running for office, even in a traditionally conservative state like Georgia. Twenty-seven out of the 56 districts in the Georgia Senate have female candidates. Furthermore, 35 percent of all candidates for the Georgia House are female. In fact, women are running against other women in 11 districts. Abrams explains this could create momentum for more women in the future. “Part of my responsibility as a candidate is to not only go through the door, but to prop the door open so that other women can come through,” Abrams said.